Tomorrow I leave with some friends from church for a 9 day trip to northern Utah. We will be doing evangelism and assisting a new church. 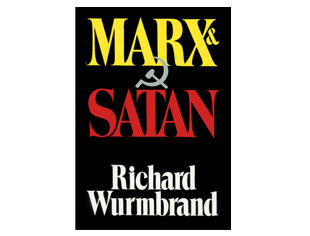 I've been reading Wurmbrand's Marx and Satan lately. In it he shows surprisingly compelling evidence that Karl Marx was a deeply devoted satanist who strongly believed in God -- and hated Him. Normally we think of Communists and Socialists as being pure materialists: believing that life is all atoms and molecules. Doubtless that is true of many of Marx's followers, but definitely not of the man himself. That is what we hope to do in Utah. Although Mormonism is at the opposite end of the political spectrum from Communism, it is nonetheless also demonic. Mormons need more than better information; they need eyes that see. We feel compassion, not scorn, for those deceived by satan into following Joseph Smith. Pray for us, and them.